As an antitrust attorney with an antitrust blog, my phone rings with a varied assortment of antitrust-related questions. One of the most common topics involves resale-price maintenance. “Resale price maintenance” is also one of the most common search terms for this blog. That is, people want to know when it is okay for suppliers or manufacturers to dictate or participate in price-setting by downstream retailers or distributors. I think that resale-price maintenance creates so many inquiries for two reasons: First, it is something that a comparatively large number of companies need to consider, whether they are customers, suppliers, or retailers. Second, the law is confusing, muddled, and sometimes contradictory (especially between and among state and federal antitrust laws). If you want background on resale-price maintenance, you can review my blog post on Leegin and federal antitrust law here, and you can read my post about resale-price maintenance under state antitrust laws here. Here, we will discuss alternatives to resale-price maintenance agreements that may achieve similar objectives for manufacturers or suppliers. The first and most common alternative utilizes what is called the Colgate doctrine. The Colgate doctrine arises out of a 1919 Supreme Court decision that held that the Sherman Act does not prevent a manufacturer from announcing in advance the prices at which its goods may be resold and then refusing to deal with distributors and retailers that do not respect those prices. Businesses—with the minor exception of the refusal-to-deal doctrine—have no general antitrust-law obligation to do business with any particular company and can thus unilaterally terminate distributors without antitrust consequences (in most instances; please consult an antitrust attorney). Both federal and state antitrust law focuses on the agreement aspect of resale-price maintenance agreements. So if a company unilaterally announces minimum prices at which resellers must sell its products or face termination, the company is not, strictly speaking, entering an agreement. Update: You can now read this article translated to French at Le Concurrentialiste. The distributor that sells products to the suppliers under those terms is not entering an agreement, it is merely complying with a unilateral policy set by that supplier. As you might imagine, both suppliers and distributors have to be very careful or they can easily find themselves participating in a resale-price maintenance agreement, with potential antitrust liability. Antitrust-attorney guidance is a must here to make sure that a unilateral policy does not morph into an antitrust conspiracy under state or federal antitrust law. Many companies, in fact, have—with antitrust guidance—adopted specific Colgate policies to permit them to set, unilaterally, resale prices while at the same time minimizing antitrust risk by avoiding a resale-price agreement. These are quite common throughout the economy. 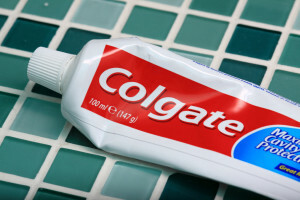 The Colgate doctrine is the most common route around resale-price maintenance, but there are a couple others worth mentioning. A supplier could distribute its products through an agent or on consignment such that the ownership of the goods does not leave the supplier until it reaches the end customer. In such a case, the “distributors” are not distributors but are instead agents. So there is no agreement to set downstream prices because the goods do not pass downstream until they reach the customer. Calling a distributor an agent, of course, is not sufficient and a court is likely to concern itself more with function than rhetoric or labels in determining whether a person or entity is an agent or a separate entity (The US Supreme Court in the American Needle case made a strong point about how function is more important than form in antitrust law). This “exception” gets around the “agreement” aspect of a resale-price maintenance agreement because, generally speaking, an agent does not “conspire” with its principal under the antitrust laws. Another approach, which is probably worthy of its own blog post, makes use of minimum advertised pricing (MAP policies). This type of policy—often employed in conjunction with a cooperative advertising program that offers retailers funds for marketing—limits the ability of retailers and distributors to advertise prices below a certain price-point. The retailer may actually sell below these advertised prices, so there is not an agreement to set price at a certain level. We discuss in this article whether Minimum Advertised Price (MAP) Policies violate the antitrust laws. This type of policy, of course, creates controversy and confusion when dealing with internet retailers. Once again, the line between legal and illegal is fine (and evolving) so you should seek antitrust attorney guidance before setting such policies. Finally, if you want to avoid antitrust liability for resale-price maintenance, you can just suggest but not enforce minimum resale prices. Be careful here, however, because agreements that include “suggestions” and an enforcement mechanism, even if not formalized in the contract, can create risk of antitrust liability. Whatever you decide to do, this is an area that combines complexity and evolving standards with significant antitrust risk, so you should definitely call an antitrust attorney to help you. Finally: I came across a Summer 2003 article in Antitrust Magazine by Brian R. Henry and Eugene F. Zelek, Jr. entitled “Establishing and Maintaining an Effective Minimum Resale Price Policy: A Colgate How-To.” Two sentences on their first page effectively capture how you should view a Colgate policy: “Colgate policies are much more than a one-paragraph lawyer-drafted piece of paper sent out to resellers at the whim of a corporate executive. They involve the delicate implementation of a complex business strategy and program that carries substantial legal and business risks if not done right.” The article is from 2003 (pre-Leegin), but the statement is well-said and as true as ever today.